Fitting your OPRO Mouthguard is simple and takes just a few minutes. All OPRO Mouthguards come with either a Power-Cage, Fitting Cradle or Fitting Handle to make the moulding process as easy as possible. Watch our easy to follow fitting instruction videos below. 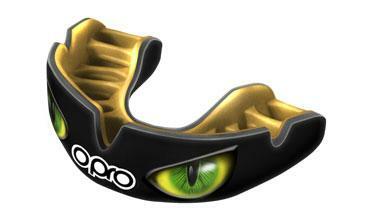 The Power-Fit Mouthguard from OPRO comes with a patented Power-Cage that is exclusive to OPRO. It allows the Power-Fit Mouthguard to mould to the contours of your teeth effortlessly. Follow the easy to follow fitting instruction video before starting for the best fitting boil & bite mouth guard! All Self-Fit Mouthguards come with either a OPRO Fitting Cradle or Fitting Handle. Each allows you to fit your mouthguard with ease for maximum protection. Fitting your mouth guard at home takes a few minutes. We advise that you watch the easy to follow fitting instruction video before starting for best results.